Yay! 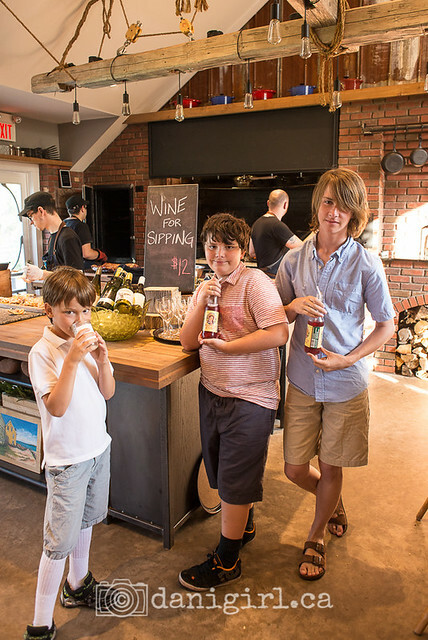 It’s time to start thinking about our next summer vacation on Prince Edward Island! This will be our third trip to PEI. In 2014, we spent a week near Murray Harbour, and in 2015 we spent a generally wet and rainy but still happy two weeks near St Peters Bay. We’ve criss-crossed and explored most regions of the Island, save for the North Cape Coastal Drive region, and while we have favourite spots throughout the Island, we always come back to the Points East Coastal Drive region. In 2016, we’ve booked 10 days at a cottage right on the water (yay!) between two of our very favourite PEI places: Souris and Basin Head Provincial Park. If you’re planning your first PEI vacation, I’d suggest making a list of things that are important to you and your family. Being on the water was important to us, but we don’t mind a bit of driving (ha, my kids may say otherwise!) so being an hour outside of Charlottetown will be fine for us. We like small towns and pretty scenery and really couldn’t care less about golf or nightlife. Cost is (always) a factor, and we find you get more bang for your buck when you are away from heavily touristed areas like Cavendish Beach. Souris and Montague, the largest towns in the Points East region, are plenty big enough for most of what we’ll need (groceries, restaurants and Tim Hortons) and most of our favourite restaurants are on the eastern part of PEI as well. Mostly, though, we just fell in love with the easy-going, laid back feeling of everyone we encountered in the Points East region of the Island. There’s a little something for everyone – world class dining, white and red sand beaches, arts and boutiques, and outdoor adventures, to name a few. Here’s five of our favourite attractions and activities in the Points East Coastal Drive region. 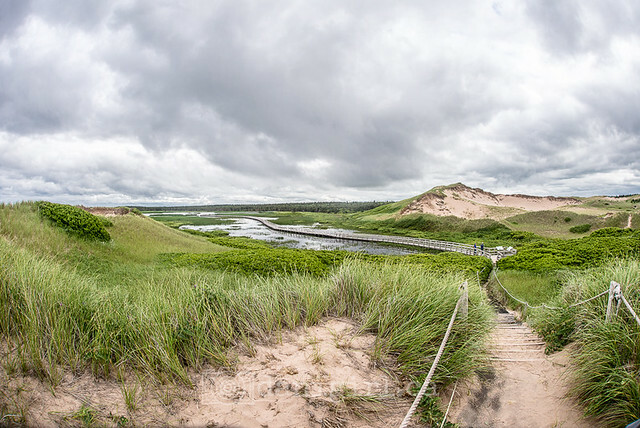 A beautiful beach, a boardwalk through world-famous parabolic dunes, and amazing hiking trails – PEI National Park at Greenwich is one of our very favourite parts of PEI all on its own, but if you go, try to take advantage of the interpretive programs like Beach Detective. I have a giant celebrity crush on “the world’s tallest freestanding chef” and even though we didn’t get the chance to encounter himself, my birthday dinner at his incredible restaurant was one of the highlights of our trip last year. The most amazing restaurant meal we’ve ever had, and something even the boys enjoyed. Orwell Corner is an agricultural village settled in the late 1850s and restored to that time period. 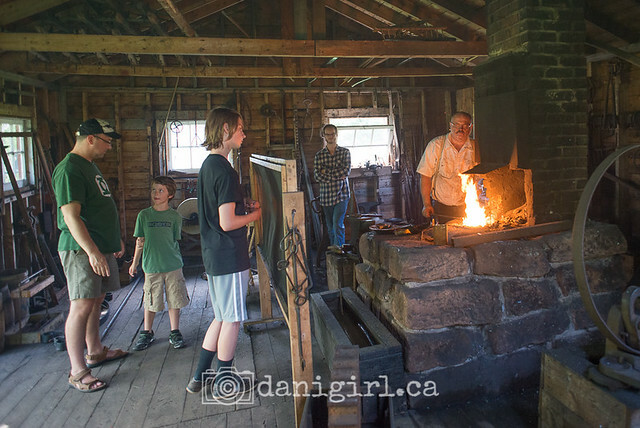 On the day we were there, the boys made candles, we visited the blacksmith shop, we learned about a child’s school day in the 1850s, had afternoon tea, and the boys fed the farm animals. It was the perfect mix of education and entertainment. 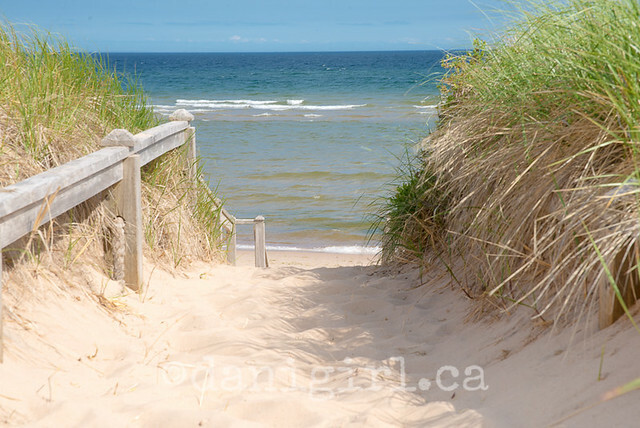 I think it’s safe to say that Basin Head beach is our favourite place on PEI. Each time we visit, we have a bit of a different experience. Some days we jump in the waves, some days we explore the rocks and boulders, some days we just dig a really big hole in the sand. This may be the year that I let the big boys jump off the bridge, a Basin Head tradition for many. From squeaky singing sands to ice cream, I love everything about Basin Head. Conveniently, we’re just a few kilometers away this year! Sigh. Is it July yet? If you’re planning a PEI vacation, check out the Points East Coastal Drive website for accommodations, attractions and ideas. Disclosure: Points East Coastal Drive is a sponsor of the blog, but I’m working with them because we are so enamoured with the region. stop it. we are not going this summer. so stop it. but seriously, I will enjoy the magical island vicariously through your this year! Hi! Enjoyed your blog! My husband and I are taking my mother on a trip to the East coast. We are renting an RV then heading east from Ontario in a week and a half. We have ten days. We are going to see Quebec City then continue east to PEI and/or Nova Scotia. We too aren’t interested in touristy sights but rather the quaint fishing villages and local arts and culture. 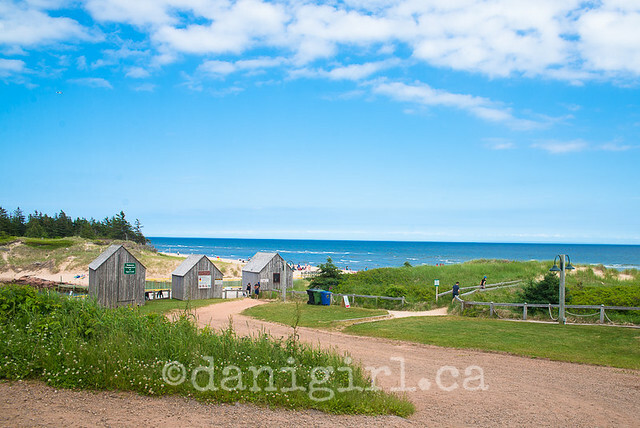 I truly appreciated your thoughts and suggestions as we try to decide which part of PEI to visit! Thanks again and if you have any other suggestions, we would love to hear them!